The slumping stock market with plunging share prices has encouraged big shareholders including members of the board of directors to buy more stakes in their firm strongly. Ho Quoc Luc, chairman of Ho Chi Minh City-listed food supplier Sao Ta, bought 34,500 shares to raise his stake in the company to 0.75 percent, the HCM Stock Exchange announced in a report on its website. Luong Hoang Manh, chairman and general director of seafood firm Mekongfish, raised his stake to more than 5 percent from 2.93 percent through buying 30,000 shares. Bui Viet Minh, director of the cement producer Hai Van, doubled his stake after purchasing 50,000 shares. Nguyen Thi Hoa, an individual investor, became one of big shareholders of the mineral miner Binh Thuan Hamico by buying 646,000 shares, equal to 5.02 percent stake. Institutional investors also found the bearish market as a gilt-edge opportunity to acquire the controlling stake in listed firms. Statistics from the HCMC exchange show construction company Tan Viet purchased a huge amount of more than 2.1 million shares in listed builder Coteccons on May 12th to boost its stake to 10.45 percent from 3.5 percent. Investment fund Bao Viet Securities bought nearly 2 million shares in Viet Nam Ocean Shipping Joint Stock Company to increase its stake to 1.55 percent from 0.2 percent. Home appliance maker REE Tech announced it acquired over 700,000 shares in hydropower firm Thac Ba to raise its stake to more than 5.7 million shares. 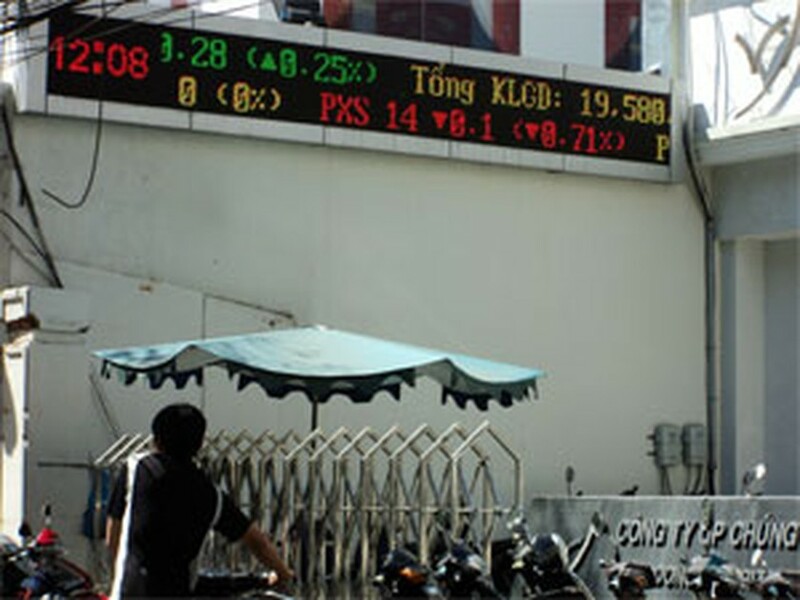 Gasoline trader Saigon Petro registered to buy 400,000 shares in Materials - Petroleum Joint Stock Company to boost its stake to 25 percent, an equivalent of 3.3 million shares. Financial experts said investors bought shares strongly in an attempt to become one of the members of the board of directors and to seek long-term investments. “That is an easy goal as the stock market remains in dull time this year. With an amount of about VND9 billion (US$450,000) only, investors now can easily acquire around 7 percent stake in a listed firm with a registered capital of VND130 billion,” said a broker. 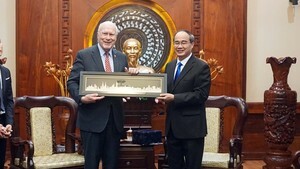 He also added most of listed companies’ share price plummeted to the face value of VND10,000 or less. According to a regulation on business management of the Ministry of Finance, a group of shareholders holding 5 percent stake can assign a representative to become a member of the board of directors. However, the Vietnam Association of Financial Investors warned many stocks were not cheap in spite of their price falling far below the face value as they had poor management and heavy debts. Therefore, investors should make cautious assessments before buying stocks, the association said. Asia’s worst-performing benchmark index this year has tumbled 26 percent from its 2011 high on February 9th, exceeding the 20 percent drop that marks a bear market for some investors.